Since the US Constitution came into force in 1789, it has been amended just twenty-seven times, with ten of those amendments coming in the first two years following ratification. By contrast, state constitutions have been completely rewritten on a regular basis, and the current documents have been amended on average 150 times. This is because federal amendments are difficult, so politicians rarely focus on enacting them. Rather, they work to secure favorable congressional statutes or Supreme Court decisions. By contrast, the relative ease of state amendment processes makes them a realistic and regular vehicle for seeking change. With State Constitutional Politics, John Dinan looks at the various occasions in American history when state constitutional amendments have served as instruments of governance. Among other things, amendments have constrained state officials in the way they levy taxes and spend money; enacted policies unattainable through legislation on issues ranging from minimum wage to the regulation of marijuana; and updated understandings of rights, including religious liberty, equal protection, and the right to bear arms. 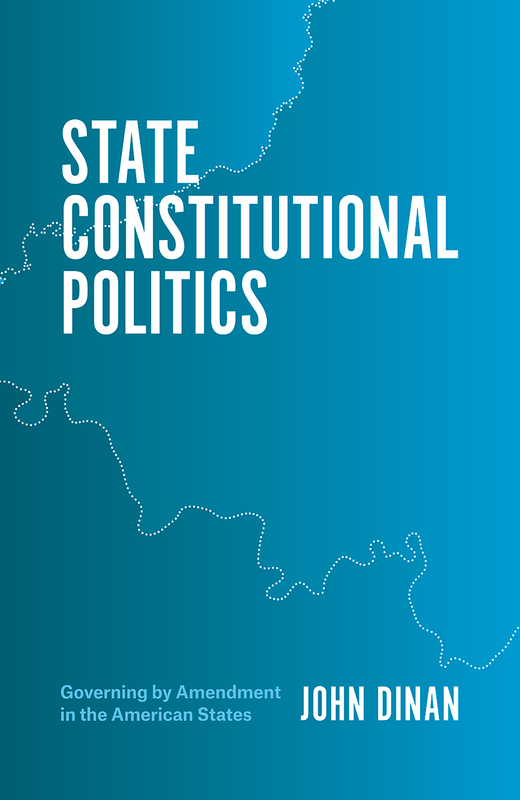 In addition to comprehensively chronicling the ways amendments shape politics in the states, Dinan also assesses the consequences of undertaking changes in governance through amendments rather than legislation or litigation. For various reasons, including the greater stability and legitimacy of changes achieved through the amendment process, he argues that it might be a more desirable way of achieving change.